Singapore Society of Radiographers - Opportunities google-site-verification=6eg37azjhvwaxcy2doqbopjwffmjhez5xkz5jupnypg23zq3m7la.mx-verification.google.com. The SSR web portal offers paid advertising space for all interested parties. Advertisements for educational activities are offered free of charge to encourage learning among SSR members. for a more fulfiling career? 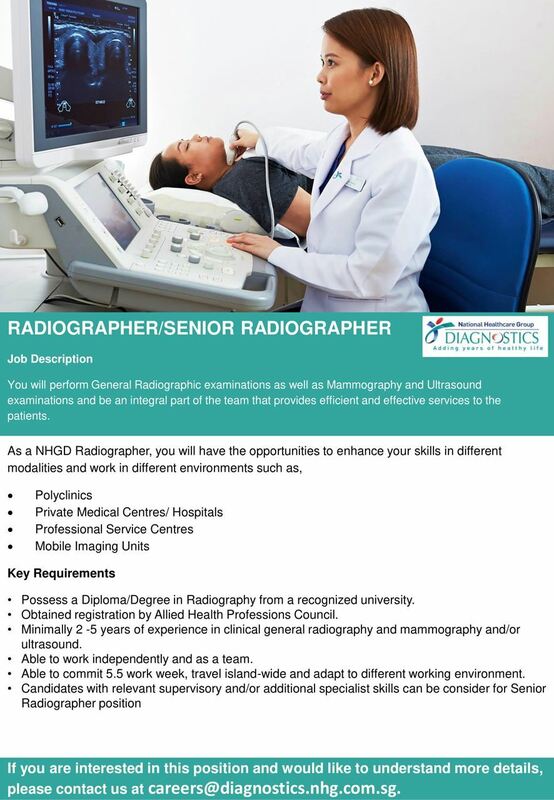 Interested in working in Singapore as a Diagnostic Radiographer or Radiation Therapist? We welcome you to join our radiography family! As a radiographer, there are many opportunities in the public and private healthcare sectors in hospitals and clinics. 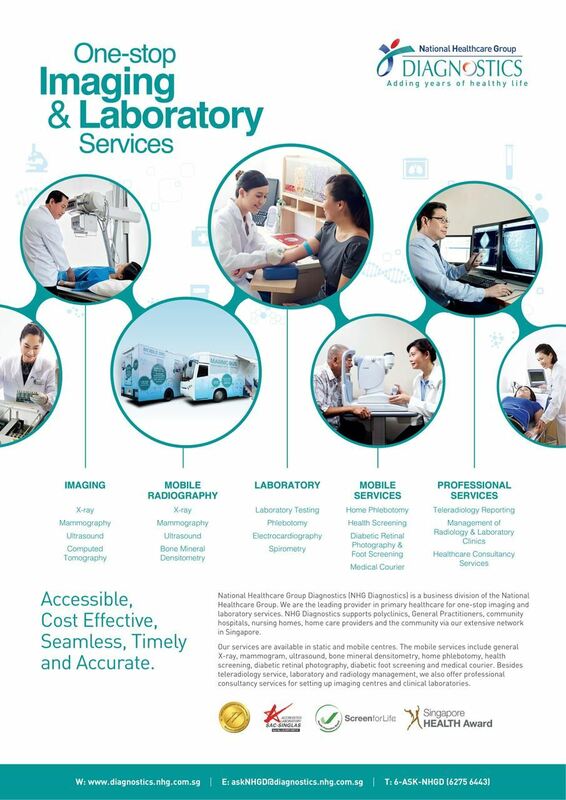 With the rapid expansion of the healthcare network, five new hospitals will be opened in the coming years to cater to the growing needs of the Singapore population. You will be able to experience working with a range of modalities including Computed tomography, Ultrasound, Magnetic Resonance Imaging, Breast Imaging, Nuclear Medicine, PET/CT, Operating Theatre radiography, Fluoroscopy and Angiography. Each hospital may have a different imaging modalities available. As a radiation therapist you will hone your knowledge and skills in clinical radiation therapy technique to treat patients. Radiation Therapy or Radiotherapy (as it was previously known) refers to the controlled use of ionizing radiation or radioactive substances and non-ionizing radiation and substances to facilitate the management and treatment of disease or injury. Radiation Therapy involves the use of the Simulator, CT Simulator, Linear Accelerator (LA), Brachytherapy, Ultrasound, Proton Therapy, Gamma Knife, MR simulator and other technologies that may be introduced into the Radiation Therapy treatment process..